Contact your Port Everglades Accident Attorney when you have been in a car accident, suffered a fall on someone's property, were injured because of a damaged product, or any other accident. Robert E. Gluck will work hard for your rights. He will first have to prove that negligence existed when your accident occurred. Negligence happens when reasonable care for a person is not followed, and it results in that person getting injured. If negligence is proved the person will be held responsible for the injured party. Port Everglades, an accident attorney is someone who will legally represent you after you suffered an injured due to an accident. It is important to seek legal representation if you want to increase your chance of receiving a settlement for your injuries. Robert E. Gluck first became an attorney in 1989, and has since then provided clients with legal representation they can trust. He will fight hard on your behalf and protect your legal rights. Call Robert E. Gluck today to get the process started. Hiring a Port Everglades Accident Attorney to represent you will help you tremendously with your case. Studies show that when an injured party has legal representation their chance of receiving a settlement is significantly increased. It is equally important to hire the right attorney. Hiring the wrong attorney can cause you to lose your case or not receive a higher settlement. 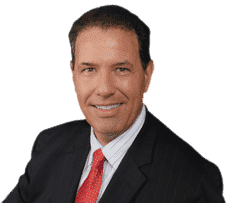 Robert E. Gluck will act as a powerful voice on your behalf, and will aggressively pursue your case. Your Port Everglades Accident Attorney Robert E. Gluck gives personal attention to every case he represents. It is important to him to keep a personal relationship with each client. Robert E. Gluck will find your witnesses and obtain their statements, he try to locate video footage, take pictures of the accident scene, and anything else he can find to use as evidence for your case. He will fight hard for you, with just the right amount of compassion and determination. Contact Robert E. Gluck today to schedule a time to speak to him about your injuries.